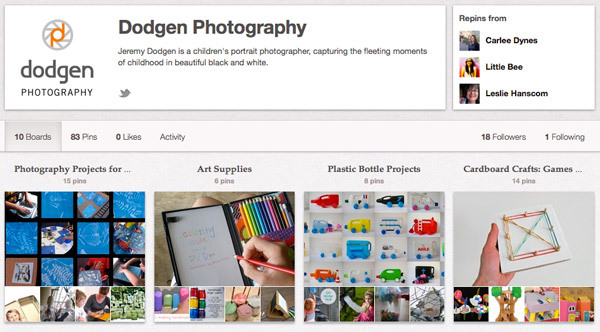 I recently signed up with Pinterest as a way to keep track of all the great photography projects, craft ideas and creative activities for kids I have come across online. These are the types of things I enjoy doing with my own kids, or hope to try someday, but I also wanted to share them with you, my creative and artistic clients. Are you on Pinterest? Any tips for a newbie?